Another title from my pile of shorter works that took me a bit too long to read and then I forgot to write about it so here it is. Considered Jackson’s masterpiece, it was published a couple years before her death in 1965. I was surprised to find that it’s being made into a movie. Not surprised because Hollywood is out of ideas, but because it’s been out of ideas for a while and I wonder what’s taken so long. The story is unreliably narrated by Mary Katherine “Merricat” Blackwood, whom I thought for much of the book was a lot younger. A few years before the timeline of the book, the entire family is poisoned with only three surviving: Merricat, her sister Constance, and their uncle Julian. Constance was tied and acquitted, and the town believes she got away with murder, and generally hate them. Constance and Julian never leave the property. I liked this book quite a bit, with it’s gothic style, gloomy foreboding and curious ending. I haven’t added sugar to anything years. Don’t touch my salt. With an extra long weekend I decided to overdo it a bit on Thursday with a bicycle commute from my office in Port Coquitlam through New West then Burnaby to the edge of Vancouver, then a sharp right turn north over the Iron Workers bridge into North Van and down to Lonsdale Quay to hop on a bus up to Grouse Mountain because I’ve done that ride up that hill once before and I’m never going to attempt that on a single speed bicycle again. 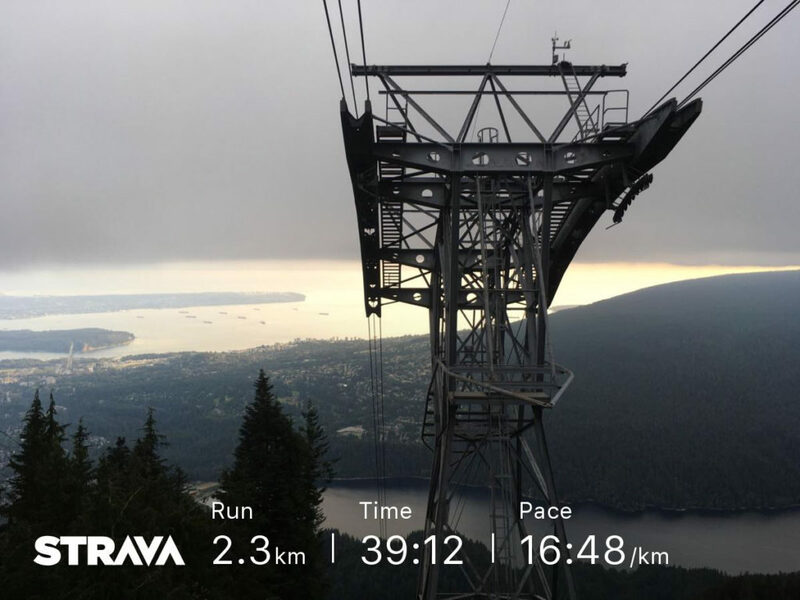 Grouse Grind number three and my slowest yet, at 59 minutes and change. I could credit the 32 KM pedal to get there, but the time I actually pedalled all the way up Capilano Road and Nancy Greene Way I finished the Grind around five minutes quicker. Nine weeks to go before the Victoria Marathon and I’m having to remind myself that my first marathon I started training eight weeks out and then got sick and took all of week seven off and didn’t die. My head is further ahead than my body, or my head thinks my body is way behind. Or something. So I’m trying to trust the training plan that I made up based upon the plan I made up from the internet last time around plus some new stuff like going for long bike rides and walking up mountains. Trust is a funny thing.